2016 - my name is Food. 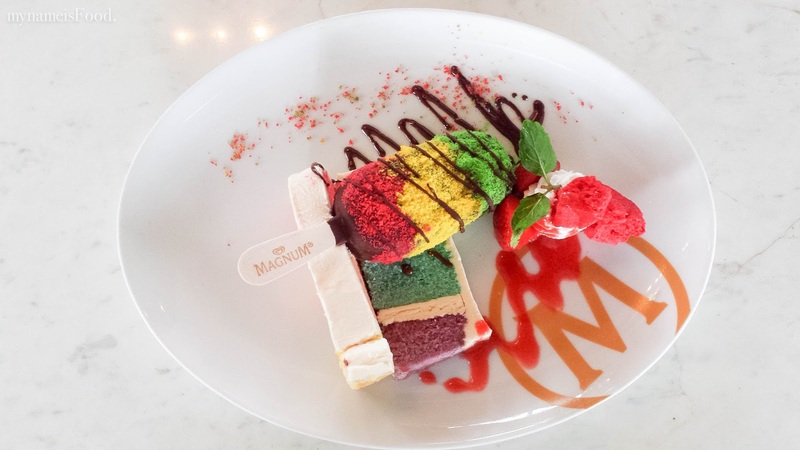 Magnum cafe isn't something you find everyday anywhere. What makes it different is that you are able to customize and personalize your own ice cream the way you want it, the way you like it here. 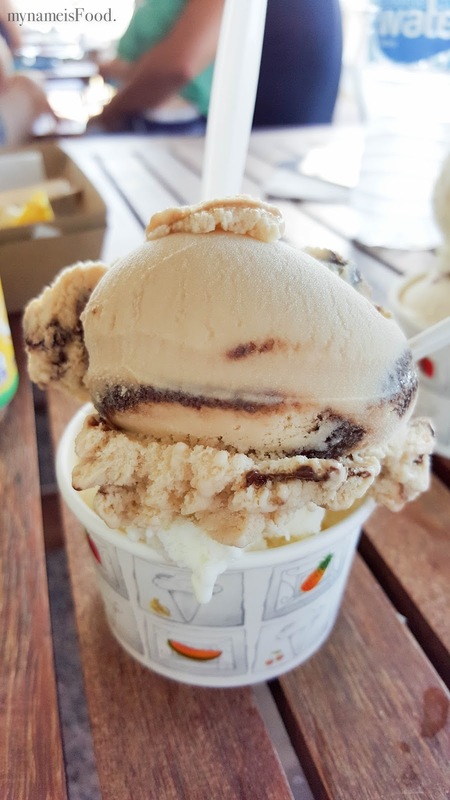 Magnum has always been famous for their signature chocolate coated vanilla ice cream down at your usual grocery stores. If you're not up for anything sweet, they do also have some savoury items on the menu such as pasta or salads. 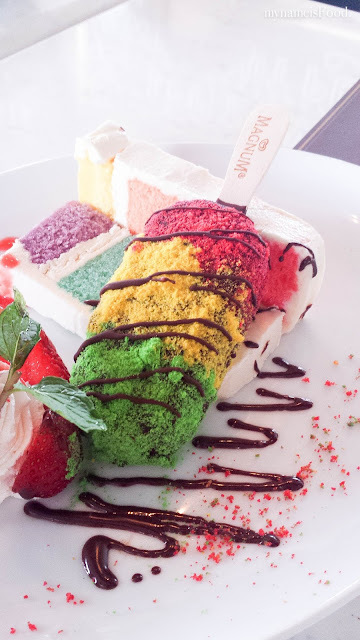 'De rainbow District' (IDR55k =~AUD$5.5) consisted of rainbow cake with colour coated vanilla Magnum stick with whipped cream. The rainbow cake tasted like sponge cake with cream in between but it was rather too sweet to my liking. 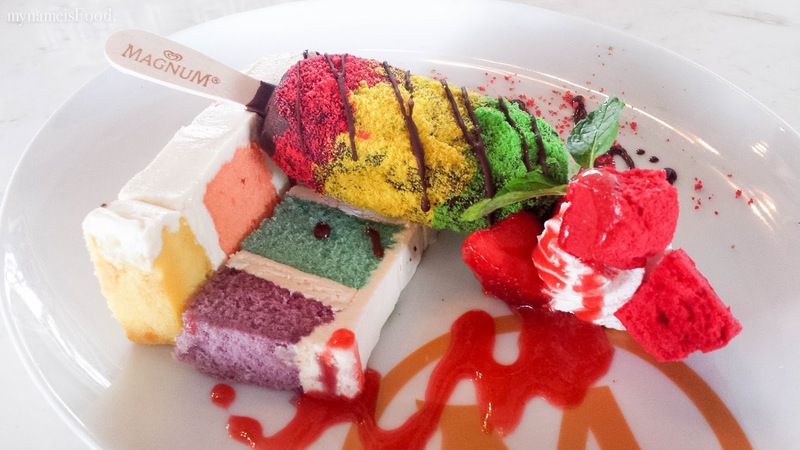 The sponge cake also seemed liked they had just used food colouring for its colours. 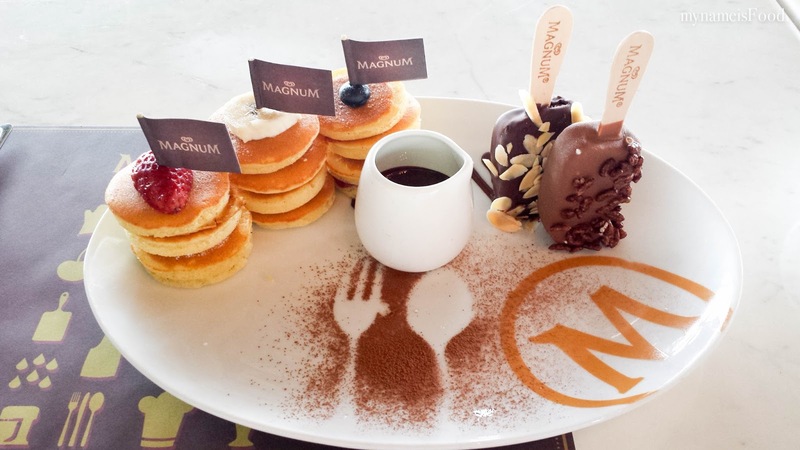 'Pancake de Ostend' (IDR55k =~AUD$5.5) has a trio of mini pancakes with mini Magnum vanilla stick, strawberry, blueberry and peanut butter filling. The whole dish was plated nicely with a mini jug of chocolate sauce and a small drizzle on the side of the chocolate sauce. 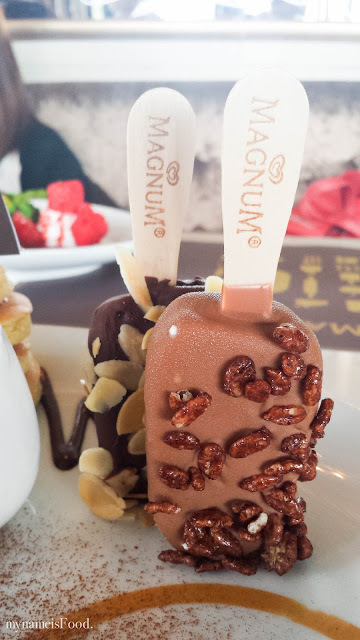 The two mini Magnum ice cream sticks were just Vanilla flavoured but their coating was one, milk chocolate with chocolate rice bubbles whilst the other, dark chocolate topped with almonds. 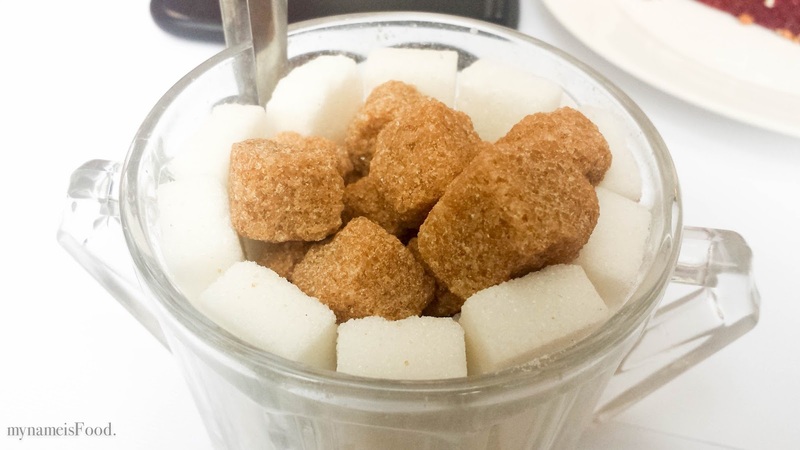 It is rather quite hard to share these so do expect them to melt in a way when you're trying to slice it or use a fork to half it. 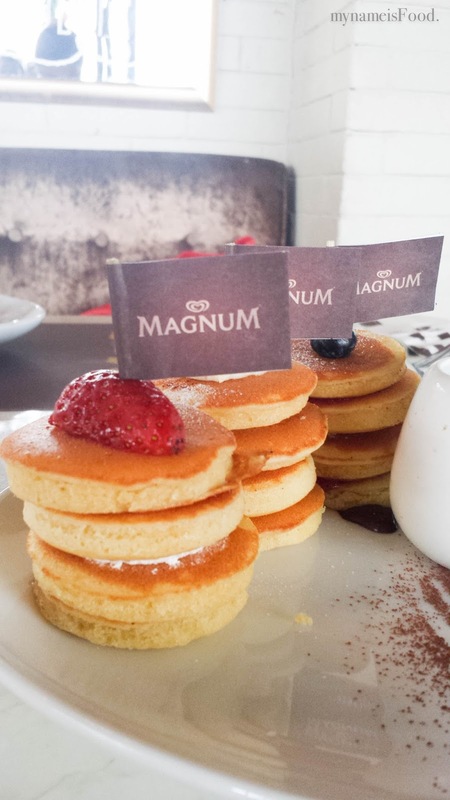 The mini pancakes were fluffy and petite with a slice of strawberry, banana and blueberry on top of each. They were quite bland in a way but when the chocolate sauce is poured on top, it blends in well and gives it a nice dipping sauce. 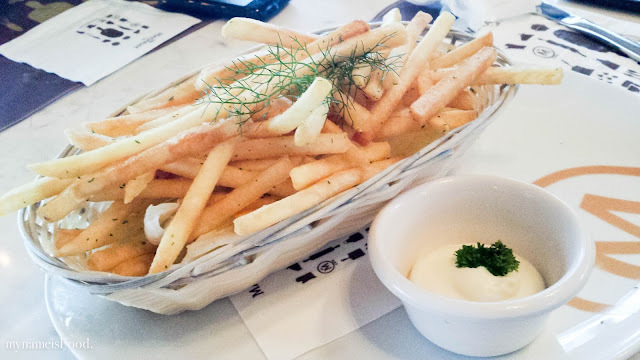 'French Fries' served on a long basket with bits of seaweed and a dipping sauce of mayo on the side. Some were crispy but some soggy but nothing special and I would probably stick with their sweet menu or other savoury dishes next time and wouldn't count on this as a good snack to share. Union cafe has been one of the most popular places to dine their savoury dishes but more towards their sweet side with their signature cake, the Red Velvet cake which boomed the social media since it came out. 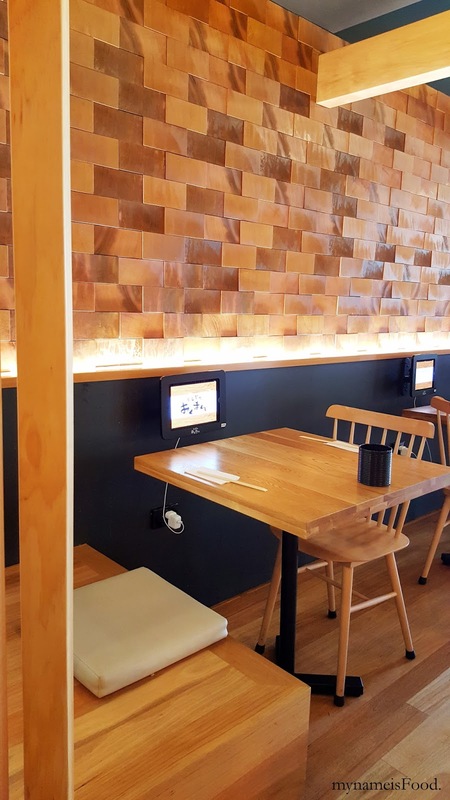 It has made many people wanting to come in, book a table and most of the times having to wait 30mins or 1 hour or even 2 hours to get themselves a table. 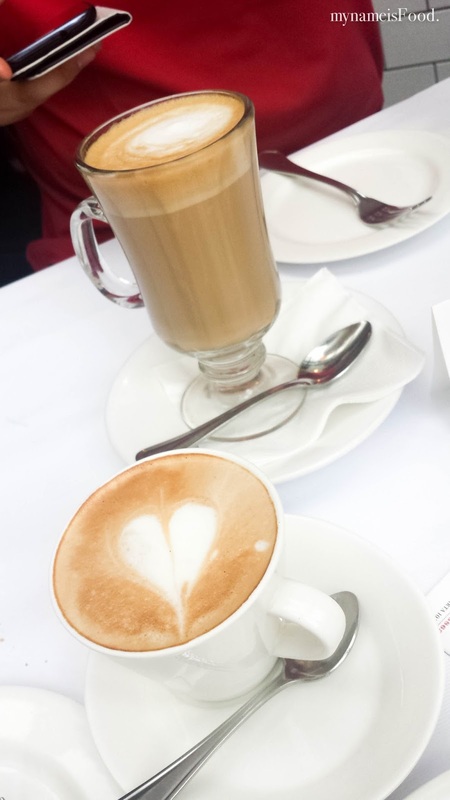 As we were here for coffee and cake, the drinks we ordered were 'Cappucinno' (IDR40k ~ AUD$4) and 'Latte' (IDR40k ~ AUD$4). The drinks were just okay, nothing special but as usual when ordering with coffee, it all depends on the barista who is making the coffee as well as the coffee beans used and how they have been roasted. 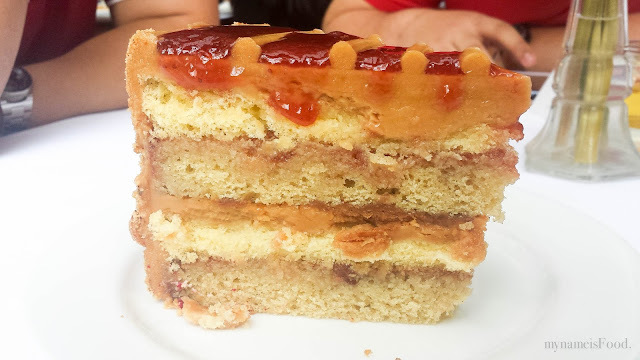 'Peanut Butter and Jam' (IDR ~ AUD$) had a soft and fluffy texture as they had a sponge cake base with jam in between. The sides of the cake had a peanut icing as well as crushed peanuts coating. 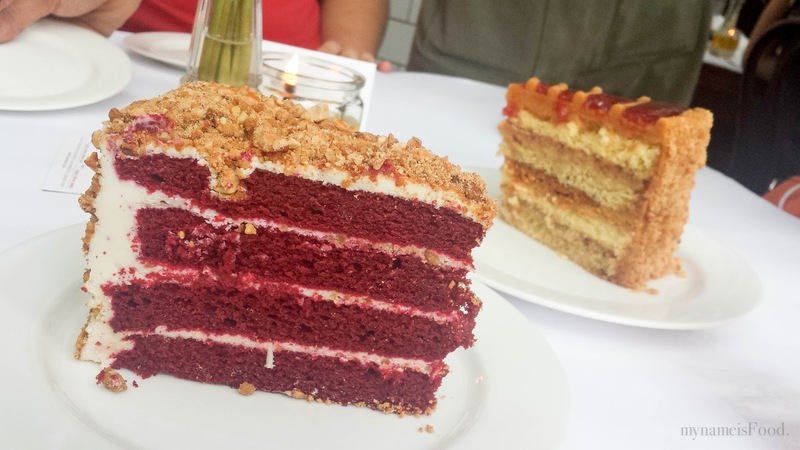 I did feel that this cake was overall a much yummier cake to have than their signature cake, the Red Velvet. Though many may object to this, but I did feel that this cake was more unique and different. 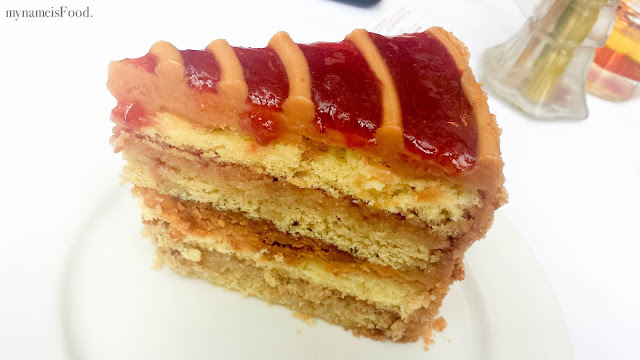 You would taste the sweetness from the peanut butter and the strawberry jam but was balanced with the vanilla sponge cake. 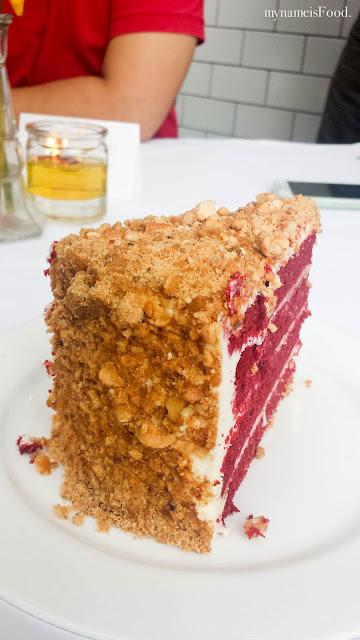 'Red Velvet cake' (IDR60k ~ AUD$6) is Union's signature cake which made them famous and a popular place to eat or mostly, to just try this specific cake. I did find that it isn't as wow as people have said about it but I do have to say, compared to the other Red Velvet cakes I have tried in Jakarta, it is one of the best, if not, the best. This cake has been their hyped up cake since the 2010's. 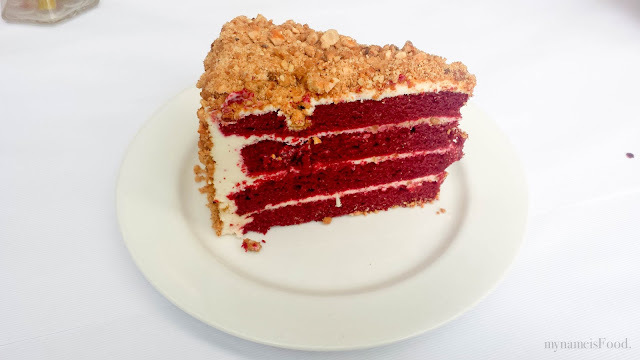 Up to today, they seem to have maintained their consistency of the quality and the flavour of the cake as well as creating the new Red Velvet pie which some has said may be better than this. The sides had crushed peanuts and what seemed to be crushed biscuits as well coating it overall even the top of the cake. The red velvet sponge cake had a dense texture with cream cheese that was quite sweet than usual in between. 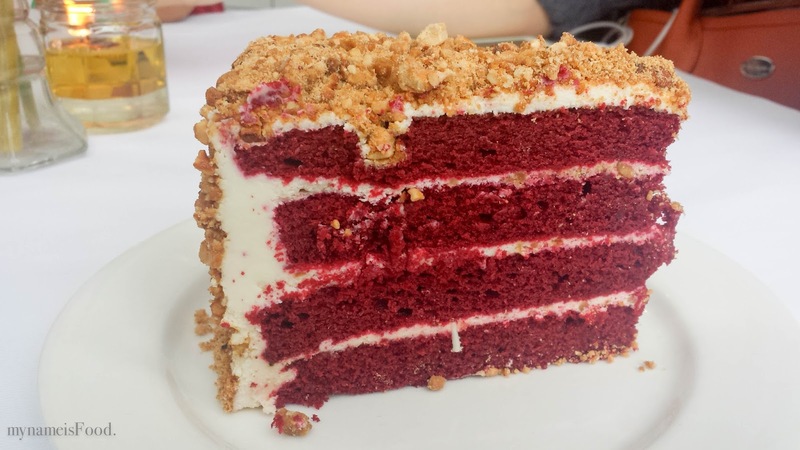 Red Velvet cakes is known to have a chocolate base but since its colour was quite red, I am unsure if they have heavily used or dependent on red food colouring or not. Ever wondered where you're able to get classic and Hong Kong style dishes in Brisbane? Well, Cha Kee may be the place for you either in the morning or even late at night.. After our recent trip to Hong Kong, we decided to check it out and see if it did remind us of Cha Kee. 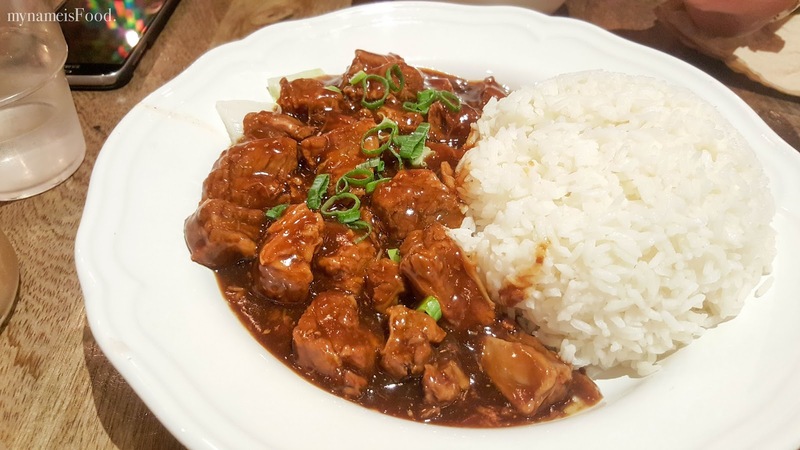 'Beef Brisket w rice' is those type of dishes that warms you up during cool days. 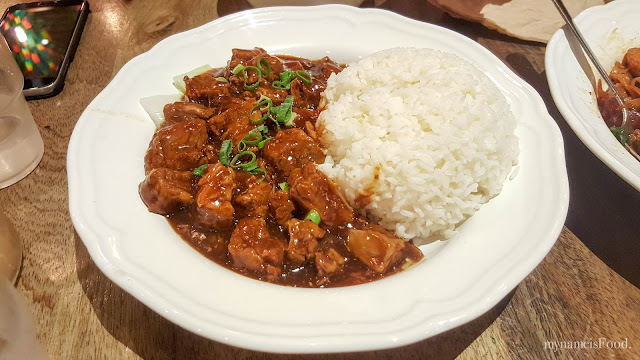 A big bowl of rice is served with a large portion of big chunky beef brisket with a gravy sauce topped with thinly chopped shallots. Slow braised beef brisket should easily tear off when using your fork which it did and the gravy sauce was abit salty but when mixed with the rice, the flavour was balanced. 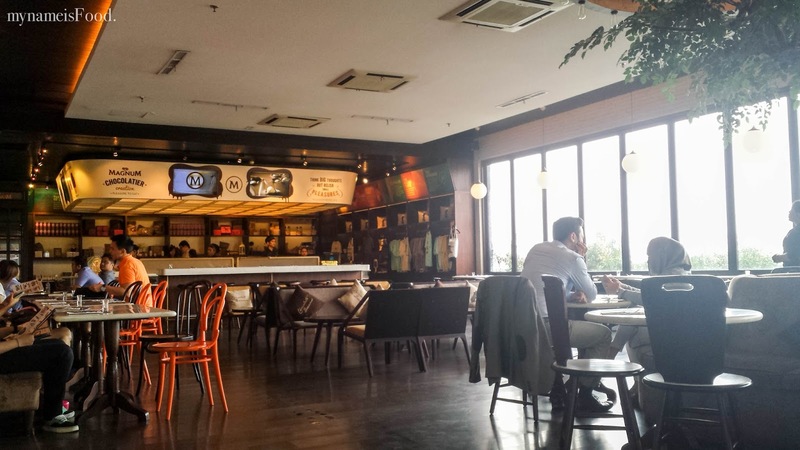 Our usual late night or quick go-to restaurant would be here as the menu offers a wide variety of dishes and opens till late. I don't know why but I just keep coming back here whenever I am in Sandgate. Not that I have anything against its nearby competition but maybe sometimes people do end up going back to their usual place. Eating fish and chips with the cool breeze of the ocean and seeing all the seagulls swooping left to right etc makes you enjoy life and the place you're living in. 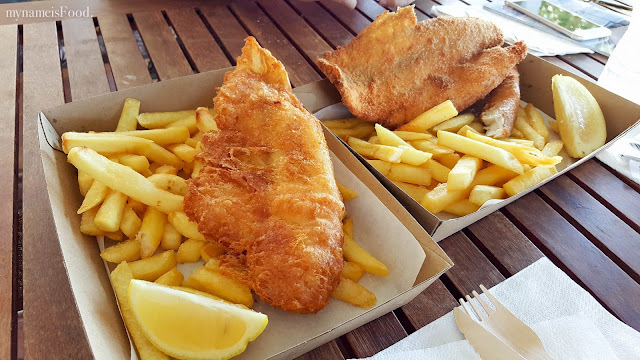 Buying their 'Barramundi w chips' and 'Cod w chips' (AUD$9.9) both served on a cardboard plate with a wedge of lemon served. The chips were crispy and well cooked though some were quite soggy, maybe due to having the fried fish placed on top. 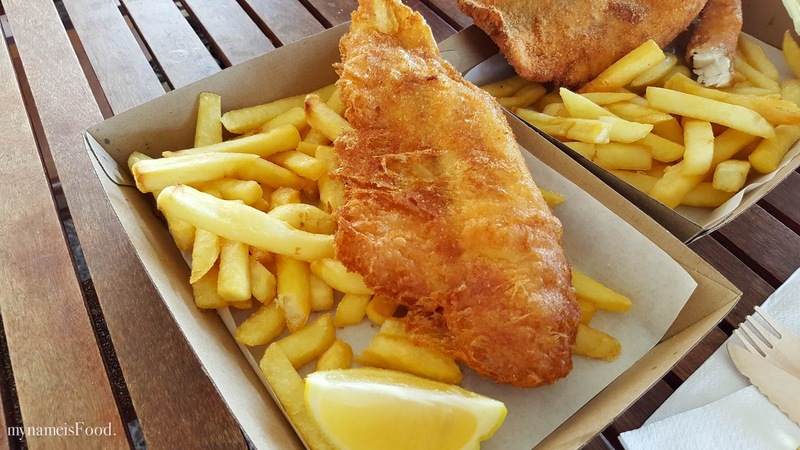 Buying one crumbed and the other, battered allows you to taste both the fish in two different way due to its texture and type of fish. 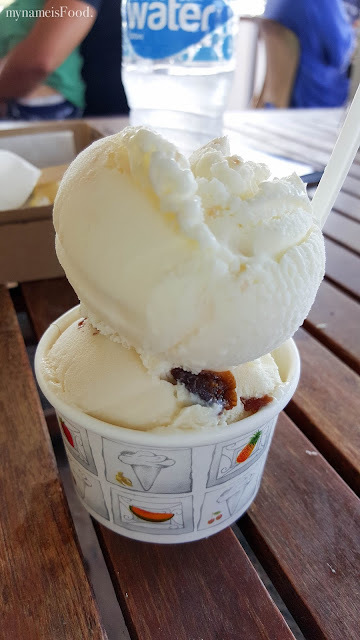 While you're there or even when visiting, do try their Gelato corner where they have a variety of different flavours available. Grab it during a hot day and it will cool you down quite well with a big scoop or even two. 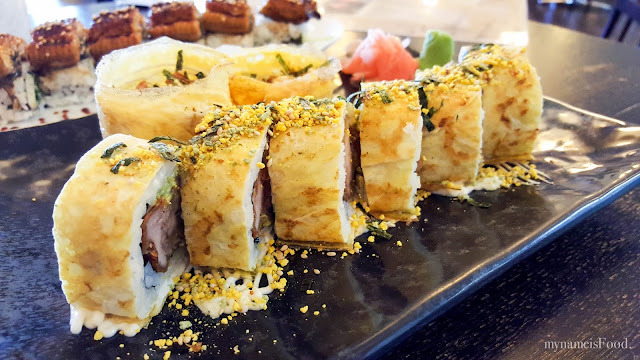 One of the few sushi places where you can have a few fusion twist on your typical sushi rolls. With friendly customer service and also free refill of green tea, it doesn't matter whether you come here for lunch or dinner. An extensive menu of not only sushi dishes but also salads and entrees including mains with noodles or rice is available to suit your tastebuds and to share. 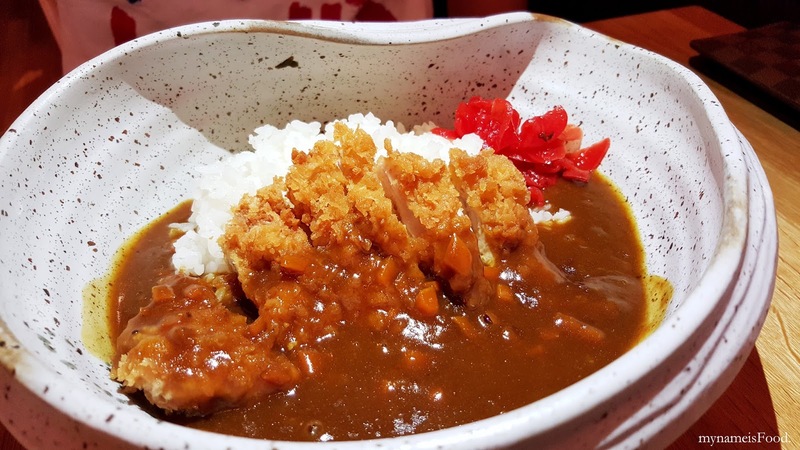 Somehow we always end up ordering the same thing but since I was with mum during that day, I decided to order what she should try during her first visit here. Ordering two at first seems a bit small but then when we ordered the third sushi roll, we realised we should've stuck with just two sushi rolls next time. 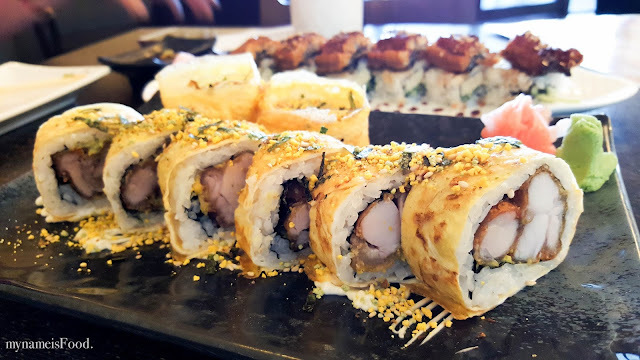 Maybe we just weren't having a big empty belly that time..
'Himawari' (AUD$11) would be one of their signature sushi rolls I would have to say. 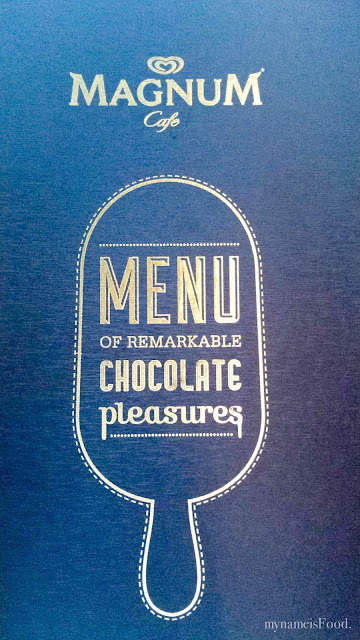 So for those who have never been, this is a must try. Deep fried marinated chicken pieces with avocado paste wrapped around a thin omelette, seasoned with rice seasoning and seaweed flakes. The crispy deep fried chicken has that salty but yet subtle taste and the crispy-ness of the chicken was not too oily. Having the avocado paste calms it down and the slightly salted thin omelette just makes picking up the sushi pieces easier. 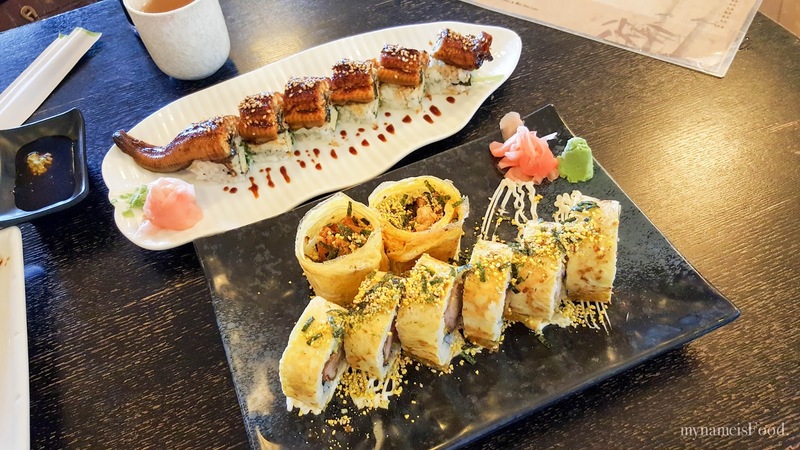 I would recommend picking up the sushi piece with your chopsticks and dipping it on the scattered rice seasoning as well as the mayo drizzle underneath to give it that extra crunch. 'Snake roll' (AUD$15) may not be everyone's favourite specially for those who isn't a Salmon fan or find having deep fried sushi may be a bit awkward. But I guess, who doesn't like Salmon? 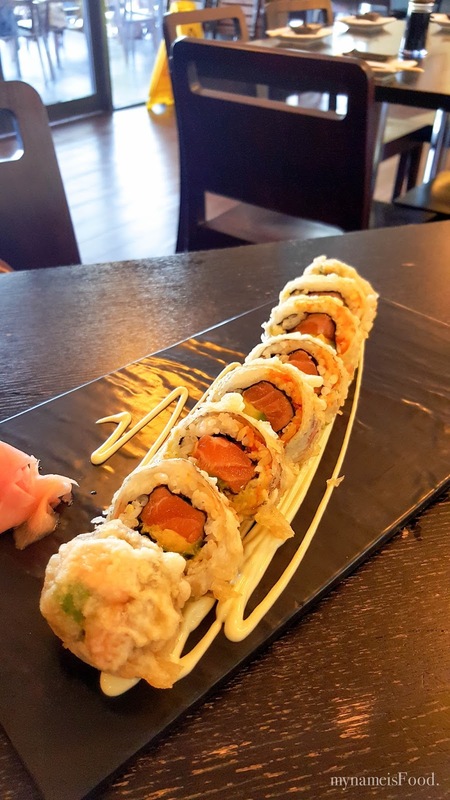 The filling of the roll is a medium rare salmon, tobiko and avocado wrapped in a Salmon skin tempura (yum!) and drizzled in wasabi mayonnaise. I did feel that it is great that they did not drizzle the mayonnaise on top but allowed people who would like more to dip their piece to the wasabi mayonnaise themselves. 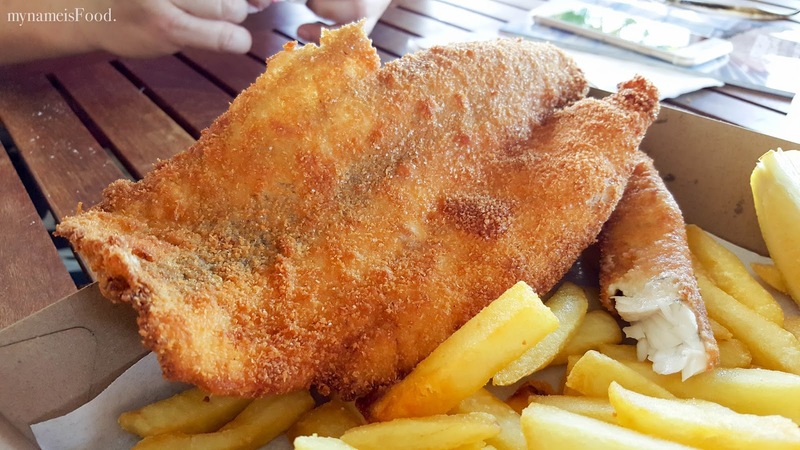 A crispy texture in every bite you take but then is balanced with the medium rare salmon and avocado inside. 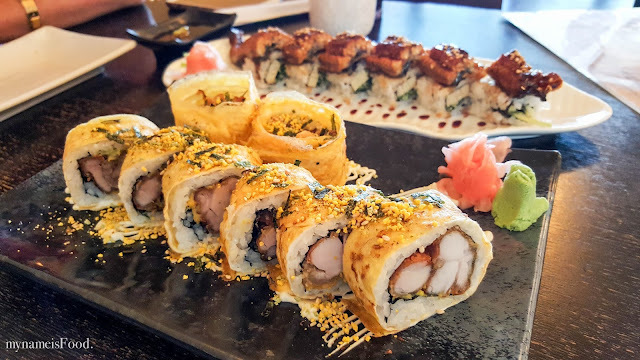 'Black Dragon' (AUD$15) is the only eel sushi there is on the menu, with egg and cucumber filling inside topped with Unagi (BBQ Eel) seasoned with white sesame seeds and teriyaki sauce. 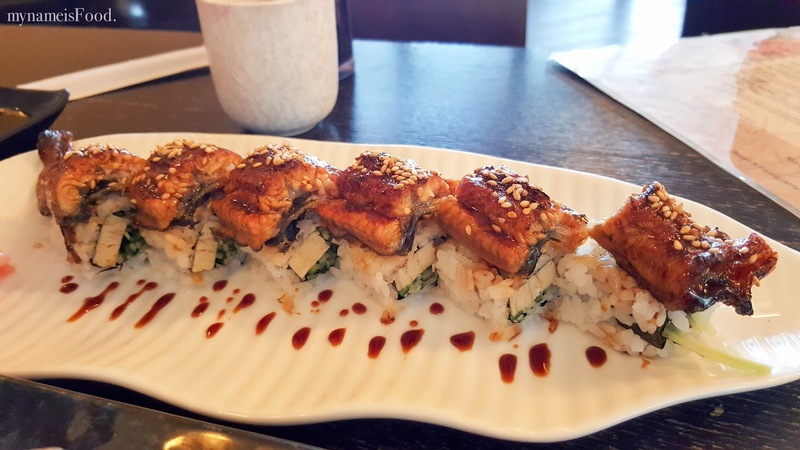 Although the teriyaki sauce isn't as strong as some, I did enjoy it best this way as it allowed you to enjoy the true nature and texture as well as the smoothness of the Unagi meat. Having the egg and cucumber filling definitely bring out the best of the Unagi as it was a light bite but refreshing at the same time. 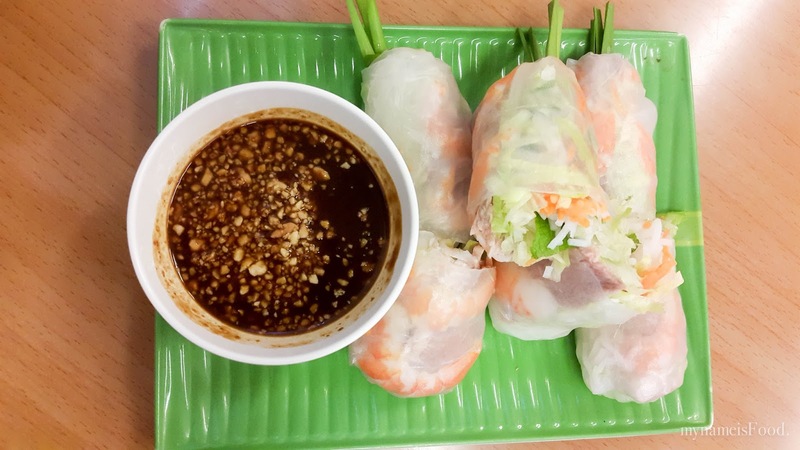 Out of the two Vietnamese restaurants in Market Square at Sunnybank, sometimes you aren't too sure of which to go or which could and would be your favourite. Pho Hung is located near Yuen's Asian Supermarket which gives those of you parking nearby a quick walk, simply just look for the Viet restaurant with the Neon sign through their glass window. 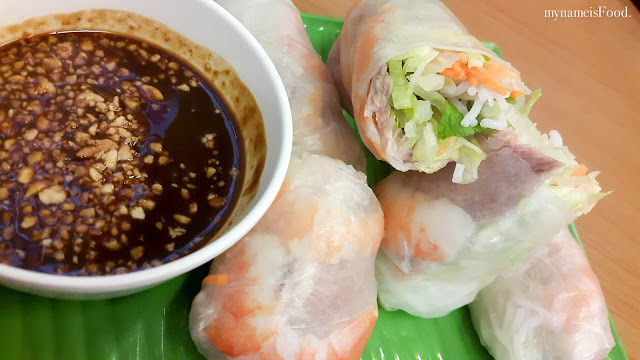 'Prawn and Pork Rice paper rolls' (AUD$7) had 3 pieces which all have been cut in half for easy eating though some people may not appreciate that and would prefer having it as a whole and being able to grab it by themselves. It may be of convenience of having it halved this way in order for others to share easier. It was served with a hoisin sauce topped with crushed peanuts, great dipping sauce for the rice paper roll. If not, another great dipping sauce would be sweet chilli sauce if you're not a fan of the Hoi Sin sauce. 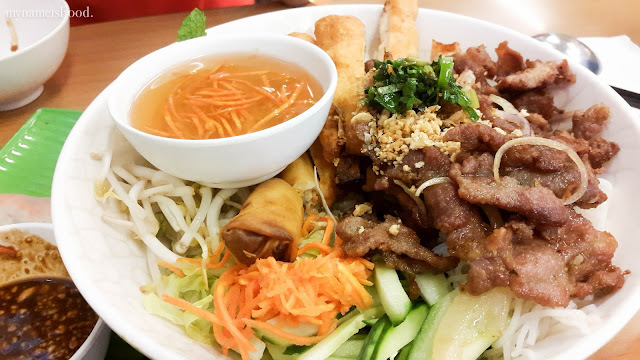 'Combination Vermicelli' (AUD$14) is one of the popular Vietnamese dishes a person would order if they're not wanting the hot beef soup called Pho or maybe the broken rice with pork chop. This was their rice vermicelli salad which is very refreshing and also healthy. It has lettuce, cucumber, carrots, beansprouts, fried shallots, mints, coriander and the rice vermicelli topped with your choice of meat. The combination consists of their Grilled pork, Spring rolls, Sugarcane prawns and shredded pork served with a side of your sweet and a tad sour sauce which gives a zing in your dish. A way to eat it is to pour the whole sauce into the dish then give it a thorough mix before eating. 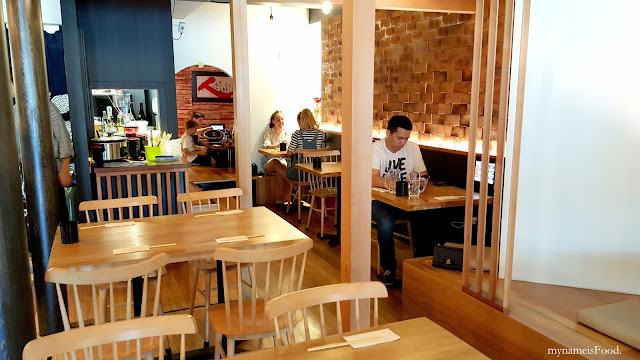 On a busy Melbourne St lies a few Japanese eateries and one of them is Izakana-ya Okuman, bringing a modern twist to the Japanese cuisine and their dining room. Ordering is done via Ipads and the waitresses wearing Kimono makes you feel like you are sitting in a little bar eatery in Japan. Having bar seating, a traditional dining room out the back with the normal dining area being wooden tables and chairs throughout the rest of the venue. 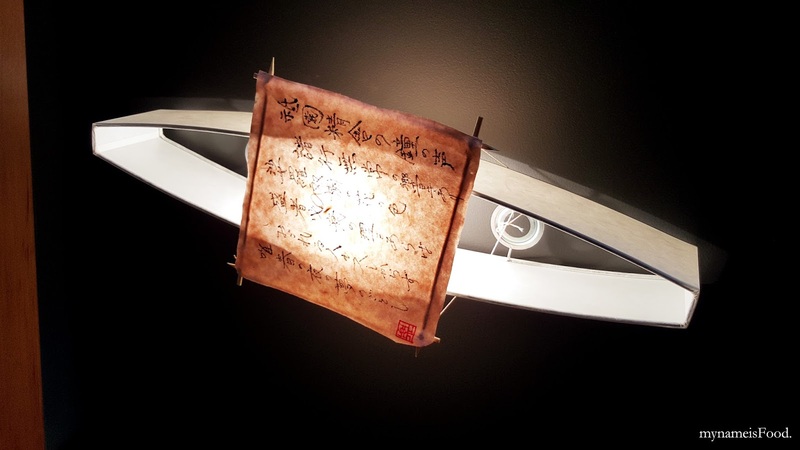 A range of traditional dishes are served on handmade Japanese pottery makes the dining much more elegant and enjoyable. 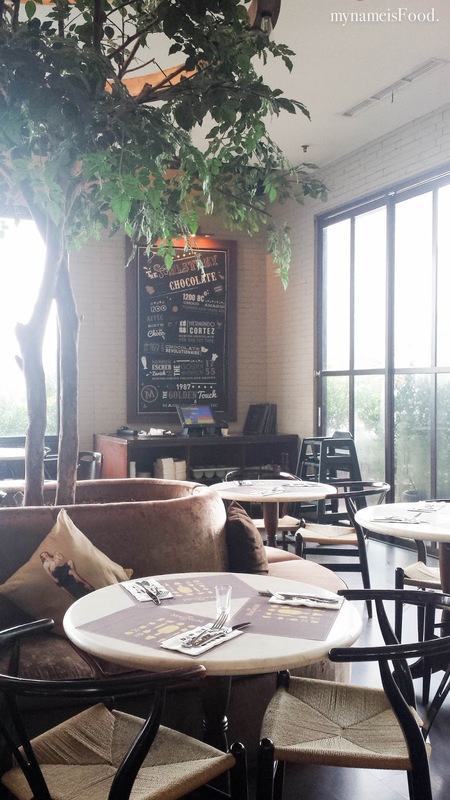 Though ordering is all done through Ipads, the waitresses are there to help you if you are unsure of how to order. 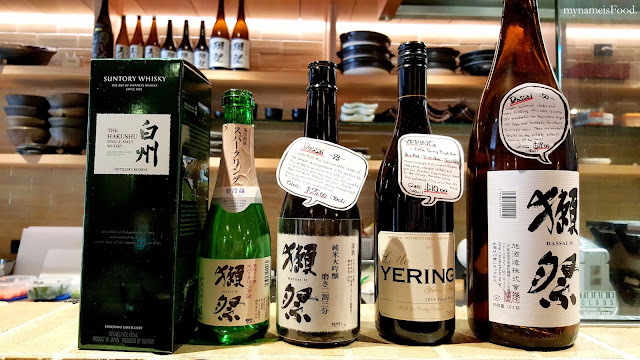 Although their lunch menu isn't as extensive as their dinner menu, there is about 7 varieties of Bento boxes as well as a few other rice or noodle dishes to choose from. 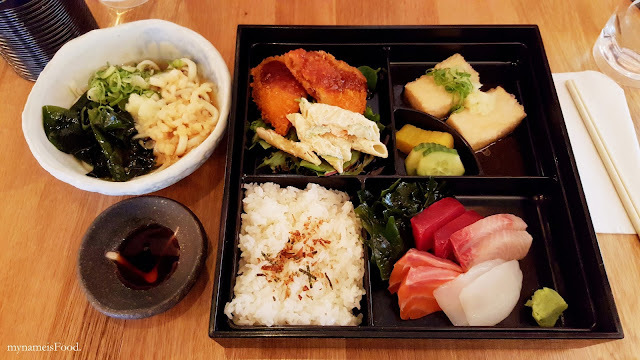 'Sashimi Bento' (AUD$18) was what I ordered but all Bento boxes consists of warm rice, your choice of mains, sides including salad and Agedashi Tofu, assorted pickles and a small bowl of cold udon. 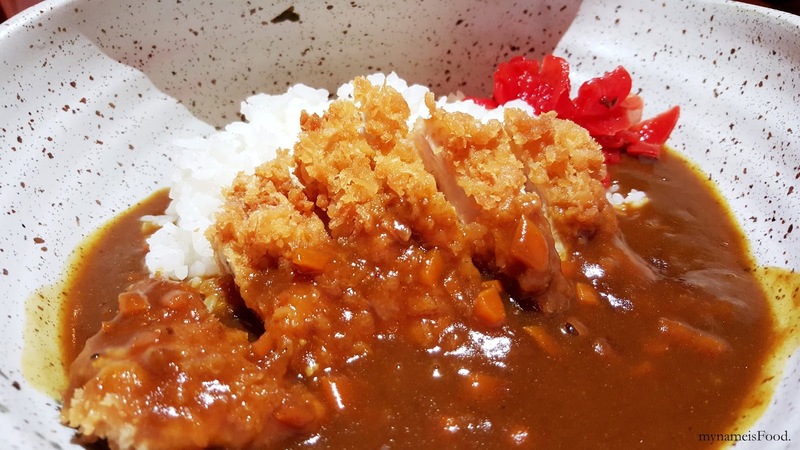 Ordering a Bento box is always great if you're aren't sure of what to order or what to eat. Being able to taste a bit of everything, having meat as well as tofu, salad and rice will definitely satisfy your tastebuds. 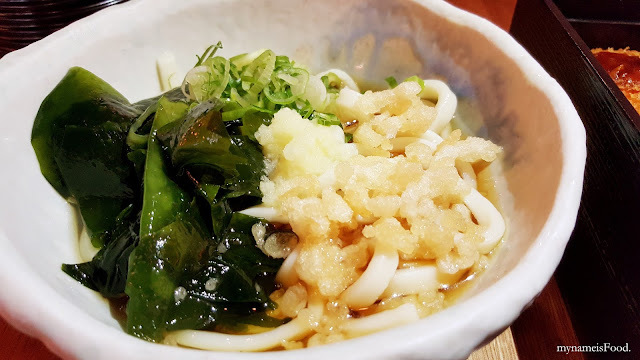 Cold udon served with wilted seaweed and a little bit of spring onions on the side topped with tempura flakes. When it arrived on our table however, the soup was limited, absorbed by the noodle and the tempura flakes were not crispy as they were already soggy. The broth was refreshing and calming throughout the meal, allows you to have a break from eating the main meat of your choice and the rice. Having chosen sashimi as the main dish of the Bento box, it included of Salmon, Tuna, Kingfish and Squid with a dollop of wasabi and also some seaweed.. 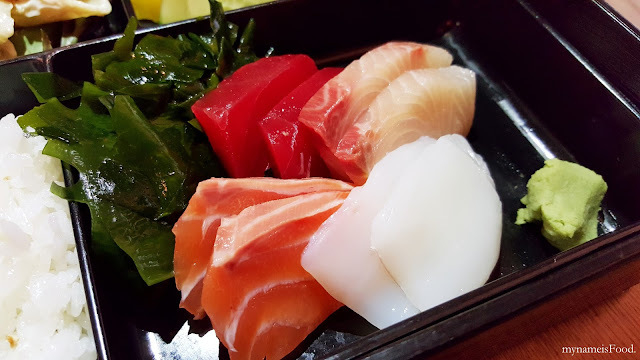 The sashimi tasted fresh and the slices were also not bad meaning that it wasn't as thin as some other Japanese restaurants. 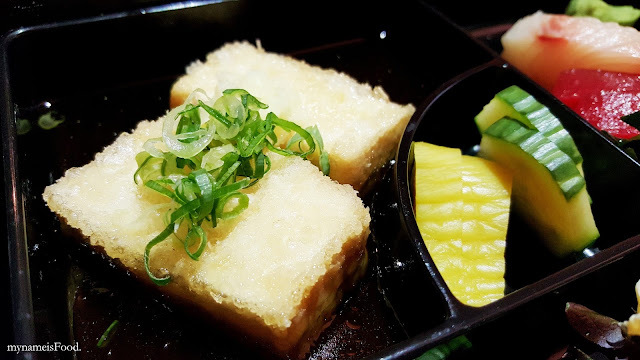 Agedashi Tofu is silken tofu cut into cubes, lightly coated with either potato starch or cornstarch then deep fried. What's unique about this is the thin layer of the deep fried coating yet still capturing the silkyness of the tofu. The broth has a light salty soy sauce base and is always a good dipping sauce as well for it. Just be careful when eating it as it does get hot when you take a bite.. Assorted pickles were also given on the side. 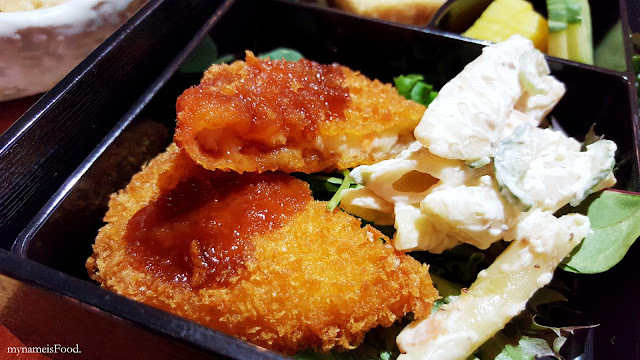 Potato croquette was topped with a drizzle of some sort of soy sauce based placed in the same box as a cold pasta salad. Mixing the hot croquette and the cold pasta salad may not have been such a good idea as either the croquette might get cold quicker and the fresh salad may be warmer..
'Chicken Schnitzel Curry' (S: $9, L: $12) was served in a big handmade Japanese pottery bowl which looked liked a coral shell. A pretty dish indeed when served and presented to our table, served with red pickles. 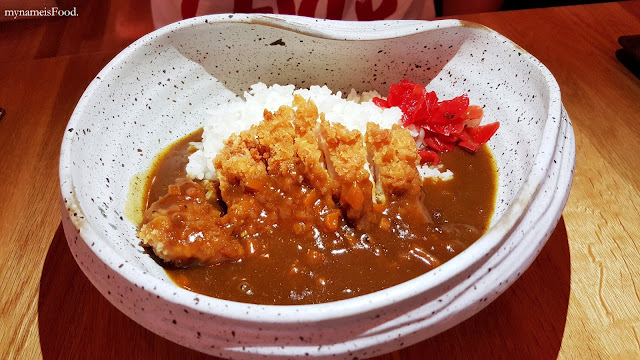 The curry itself was not bad, full of flavour but there could have been more chicken katsu as it seemed at first it was enough but then when you start eating and mix it altogether, more chicken would be better as there would be more balance within the dish.